Mission Viejo opened the 2014 girls’ lacrosse season on Saturday in an exciting home game win against San Juan Hills. Battling through wet conditions, the poised Lady Diablos demonstrated great teamwork and poise. The Diablos’ balanced attack featuring different scorers was too much for the Stallions to handle in the 14-6 game. 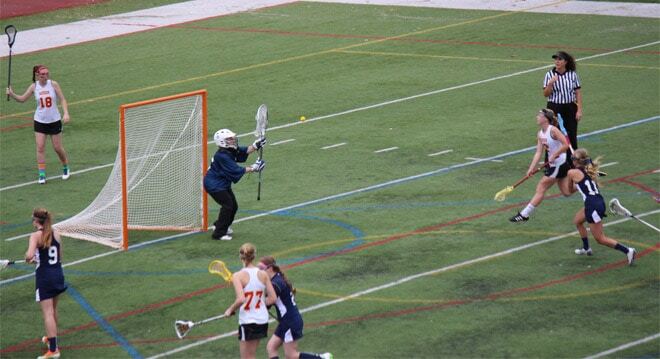 Freshman goalie Elizabeth Scott looked like a veteran in her varsity debut for Mission Viejo.